Christmas Cookie season has arrived! This weekend, December 15 and December 16, is the second annual Black Mountain Visions of Sugar Plums Cookie Tour, where you can visit the Black Mountain area B&Bs and Inns and view all their holiday decorations, taste a different cookie at each one, and take home the recipes! Tickets are $10 and benefit the Swannanoa Valley Christian Ministry, a team of churches and volunteers who work to provide basic services and emergency relief for those facing hardship. 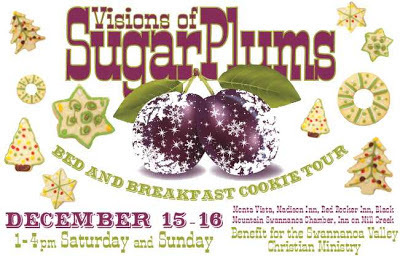 Tickets are available at all locations, including the Black Mountain-Swannanoa Chamber of Commerce and Visitor Center, which has been added as a stop on the tour this year (with cookies, of course!). Participating B&Bs and Inns this year include yours truly, the Monte Vista, The Madison Inn and the Red Rocker Inn. The tickets have a map of all locations, and you can also find a map at http://goo.gl/maps/dvnYa. 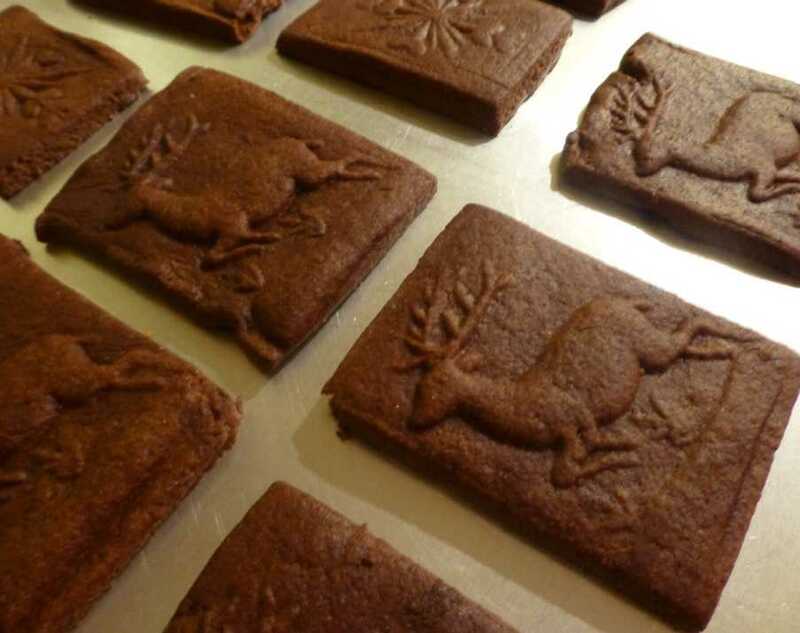 The aroma of chocolate and ginger has been filling the air as we make the final tweaks to our chocolate gingerbread recipe…here’s a sneak peek! This entry was posted in Uncategorized and tagged Black Mountain, festivals and special events by Inn on Mill Creek. Bookmark the permalink.